Dr Mathison was to have been the institute’s first director but was killed in World War I before he could take up his post. Dr Mathison was born at Stanley in northern Victoria. An excellent student, he studied medicine at The University of Melbourne. After graduating, and already interested in clinical research, Dr Mathison travelled to London where he pursued a Doctor of Science at University College. He returned to Melbourne in 1913 after five years away to take up the position of sub-director of the clinical pathology laboratories at the Melbourne Hospital, a position that would allow him to continue clinical research. At all the points of his research career there are records indicating the high esteem in which he was held by his peers. In 1914 European war erupted. The Australian armed forces needed doctors and Dr Mathison enlisted immediately. He was made a field ambulance captain in the Australian Imperial Force’s 2nd Field Ambulance and sailed to Egypt on 19 October 1914. Meanwhile, discussions were underway to establish the Walter and Eliza Hall Institute. On 23 April 1915 the decision was made to offer Dr Mathison the directorship. Sadly, he died before receiving the letter. 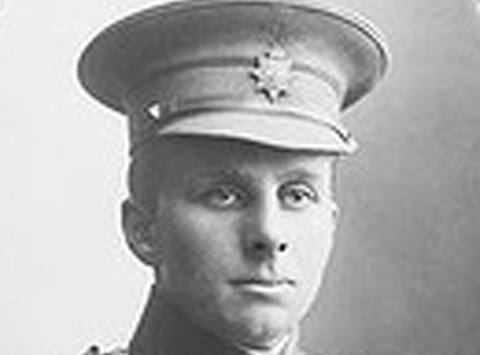 In Egypt, after working with the 2nd Field Ambulance, Dr Mathison was temporarily assigned to the 5th Battalion as its doctor and headed for Gallipoli on 22 April 1915. For several days he tended to streams of wounded before transferring to Helles, where losses were also severe. On 9 May, while at his aid-post, Dr Mathison was struck in the head by a stray Turkish bullet. He died in hospital in Alexandria, Egypt, on 18 May. The Gordon Clunes Mathison Scholarship was established through the bequest of Mrs Mary Mathison to the institute in memory of her son.